The past 2 weeks we were travelling around in France. 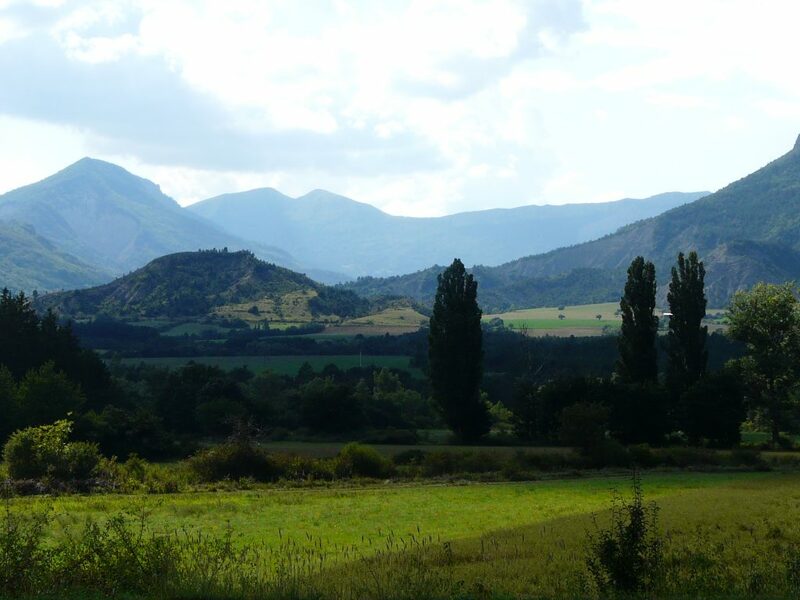 From one Airbnb to the next while enjoying the southern warmth, hospitality, wide views and astonishing landscapes. This Airbnb was such a lovely place to stay. 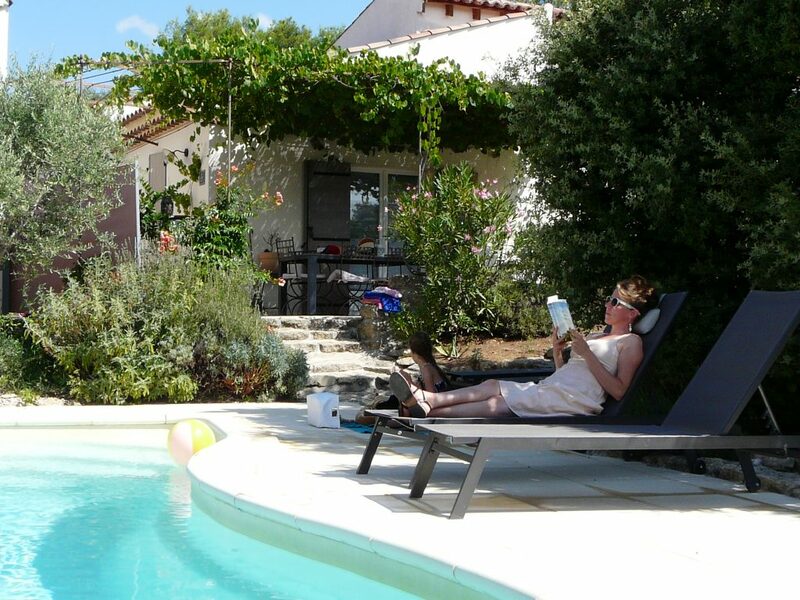 A typical warm and natural French house with our own swimming pool, a little terrace, and time to read and rest. It might look like picture perfect but as we all know, pictures only show a part of the truth. During our vacation I had to learn the difficult lesson I can’t control life and hard things happen. Life isn’t perfect, nor is the holiday, no matter how much we dream about it or make plans for it. Our youngest daughter hurt her little toe on the third day. We had to go to the hospital where they told us there was a crack in the bone and it would take at least 10 days before it would heal. For me, it felt like our holiday was over and all the things we wanted to do and visit, fell apart. I had to learn to let go and take the days as they come. 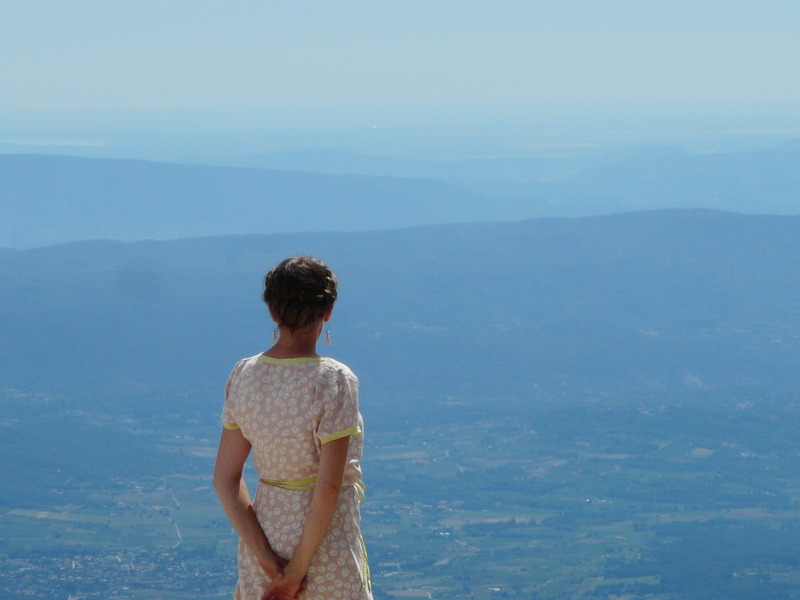 And as if that wasn’t enough, one of the Airbnb’s had cancelled our reservation while we were in France. We didn’t know because we didn’t check our email on holiday. So in the late evening, after a long drive, we had to look for another place to stay for 2 nights. For some it might sound like an adventure but for me it felt like a disaster. Again, I had to learn to be flexible and adapt to a new situation. Happily my husband is adventurous and flexible and found a youth hostel. 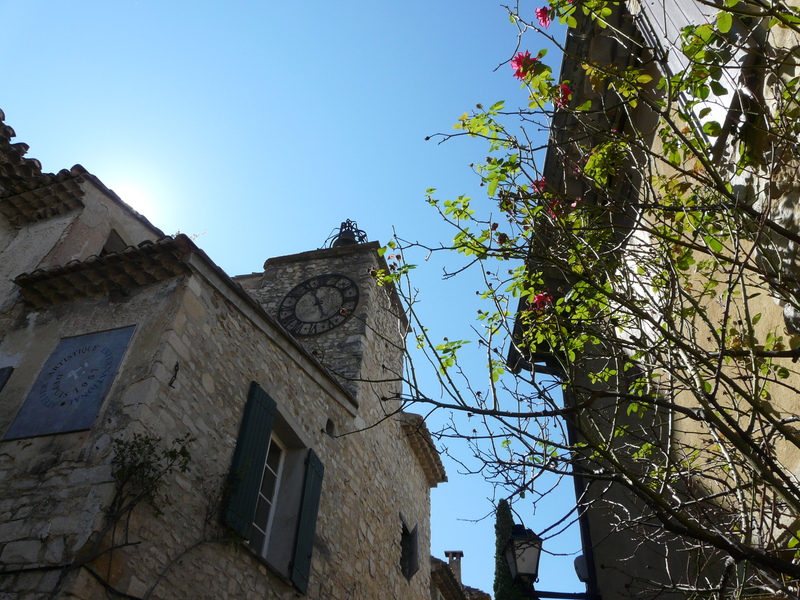 Visiting one of the most beautiful villages of France; Séguret in the Provence. 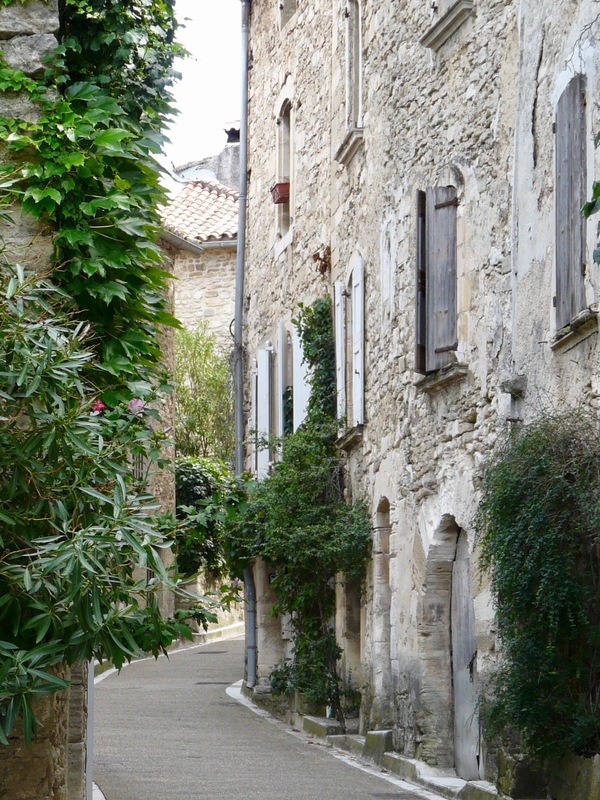 I really love these beautiful old villages with colored shutters, warm French stones, narrow streets, greenery, its ancient history, cobblestones and the sun on my face. 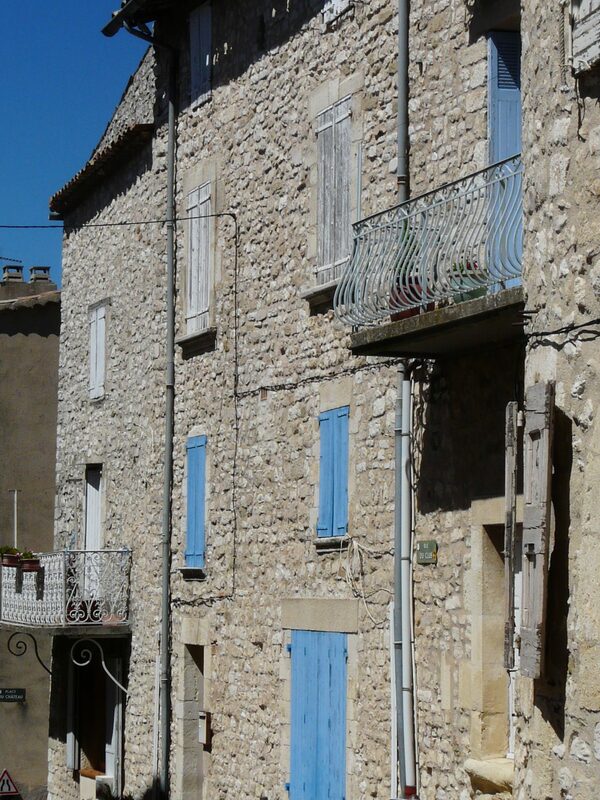 Narrow streets and houses with ancient old French stone. Closed shutters against the warm sun, colored in the most pretty faded hues. Enjoying the sun on my face in this cosy corner surrounded by greenery. Growing roses and a tiny bell tower against a blue sky. 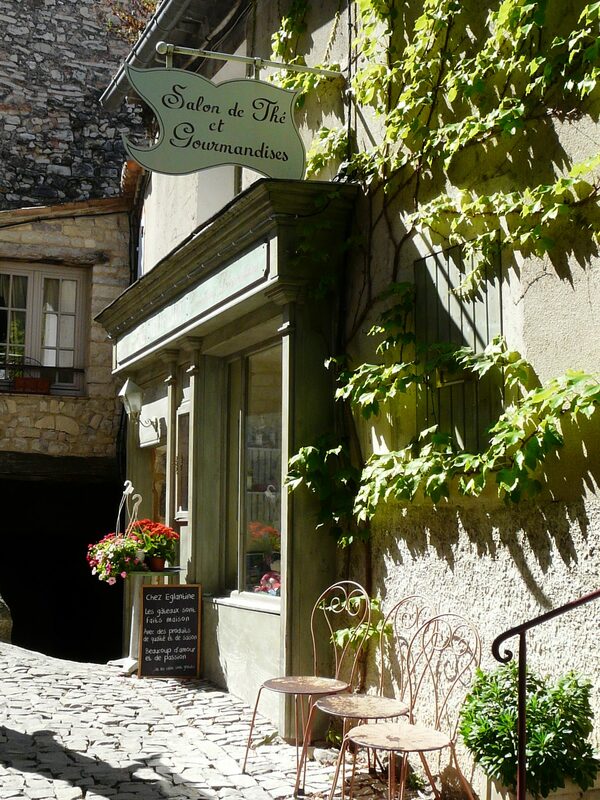 We enjoyed some sweet home baked pies, ice cream for the girls and a “little” drink in this most charming “salon de thé”.. Yes, my husband had to adapt to the tiny coffees they serve in France. 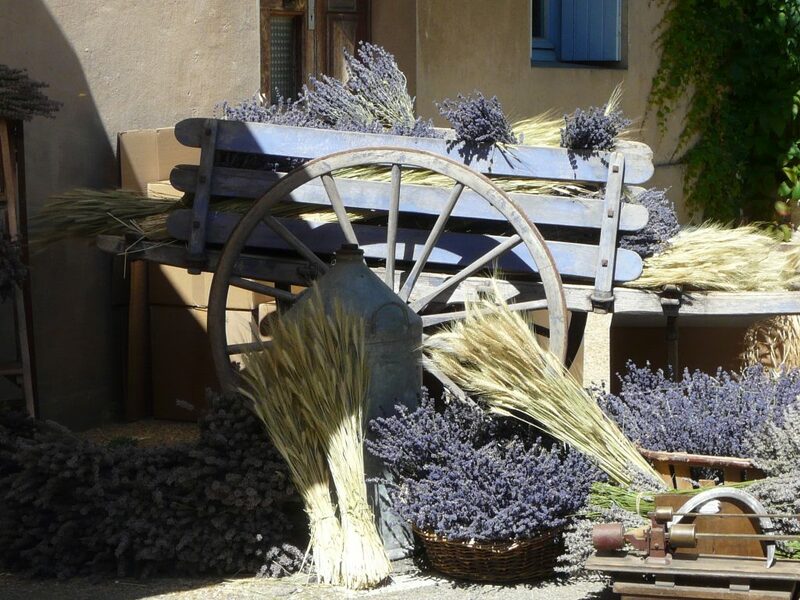 I enjoyed a Kirr with lavender, something one can only drink in the Provence! 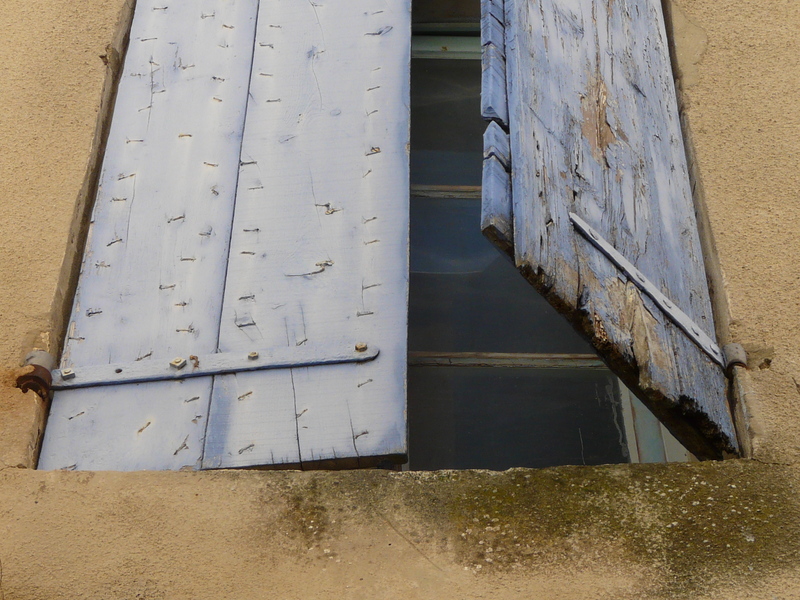 Old lavender blue shutters and warm yellow walls. 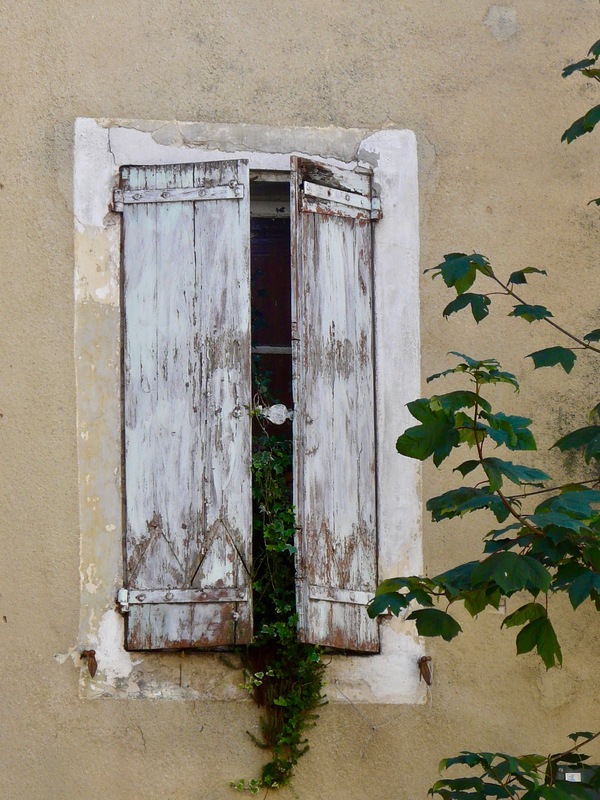 Plants grow everywhere, even these shutters can’t stop them. I love this combination of fresh green and ancient wood. A view while we were on the road. 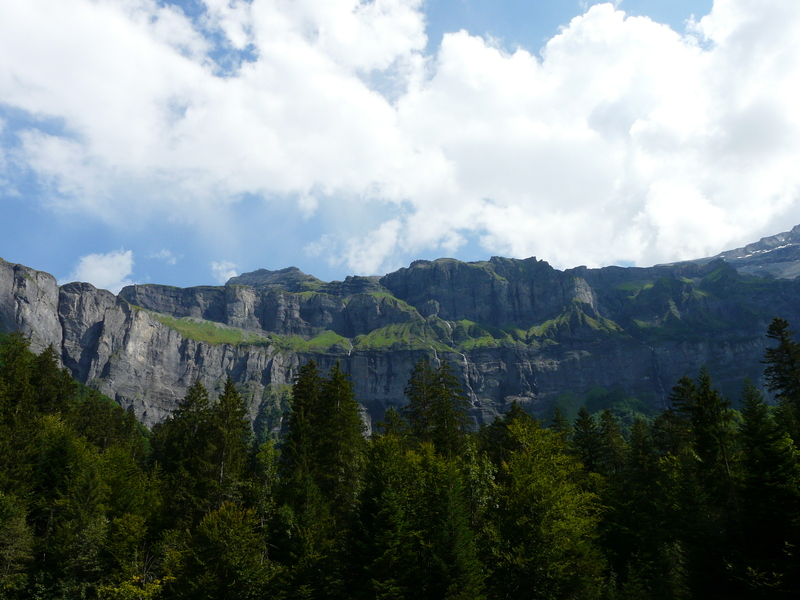 We have driven quite some kilometers but it was worth it. We saw so many different landscapes; vineyards, lavender fields, mountains and deep rivers, woods and a patchwork of fields. 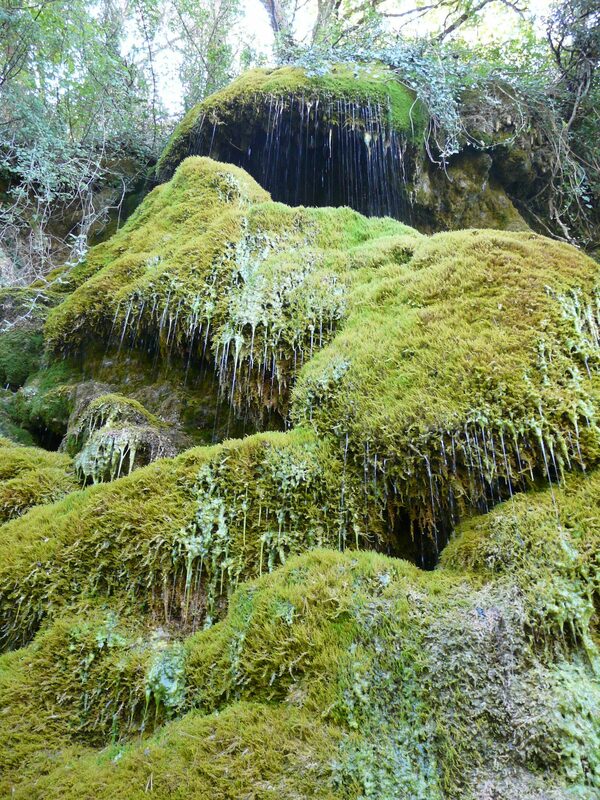 It seems like France has it all! 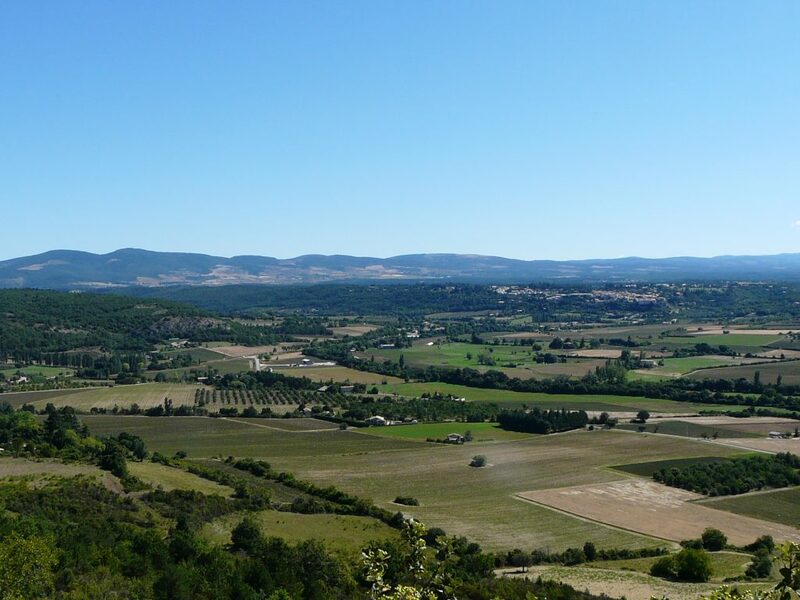 We were blessed with very warm and sunny weather, after all we are in the south of France! But once we were in the Alps it could be rainy (with lightning and thunder) in the evening. 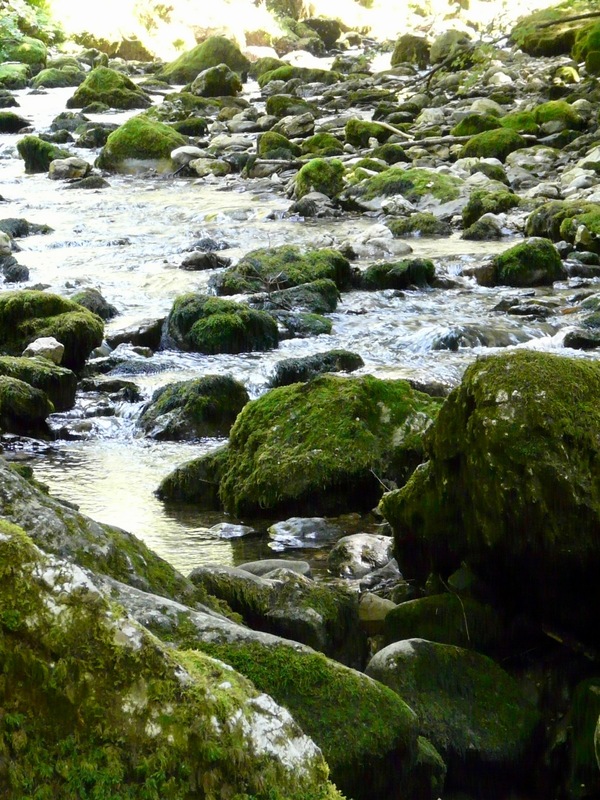 But that doesn’t mean the landscape can’t look astonishing. 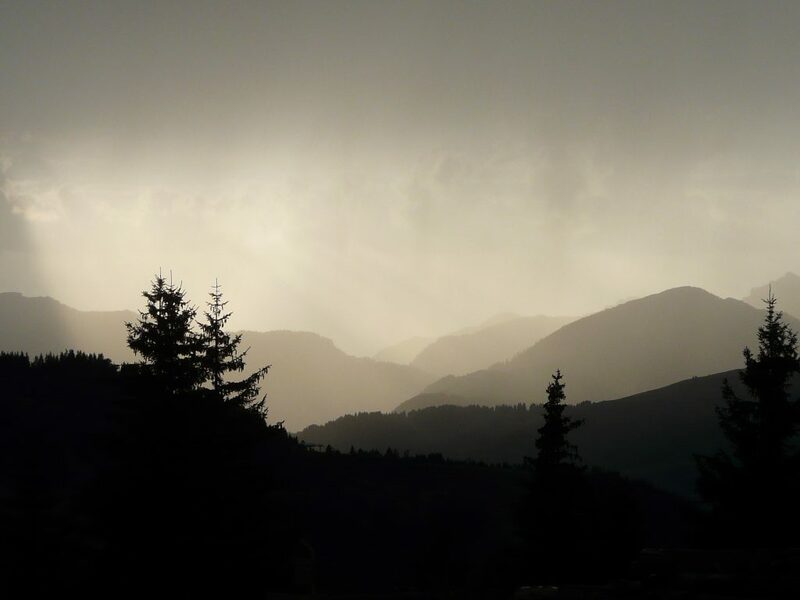 Here you can see the rain falling out of the grey sky. 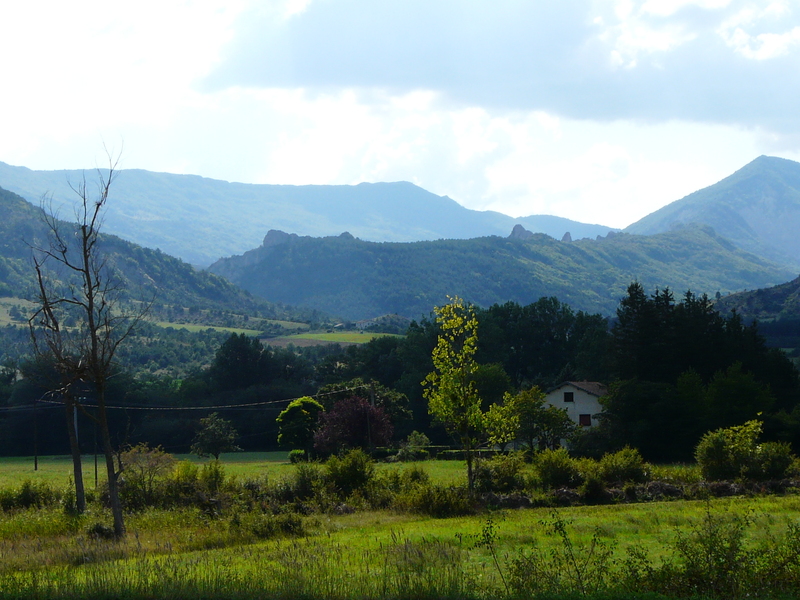 At the end of our holiday when we drove from the Provence to the Alps where we made some beautiful walks. 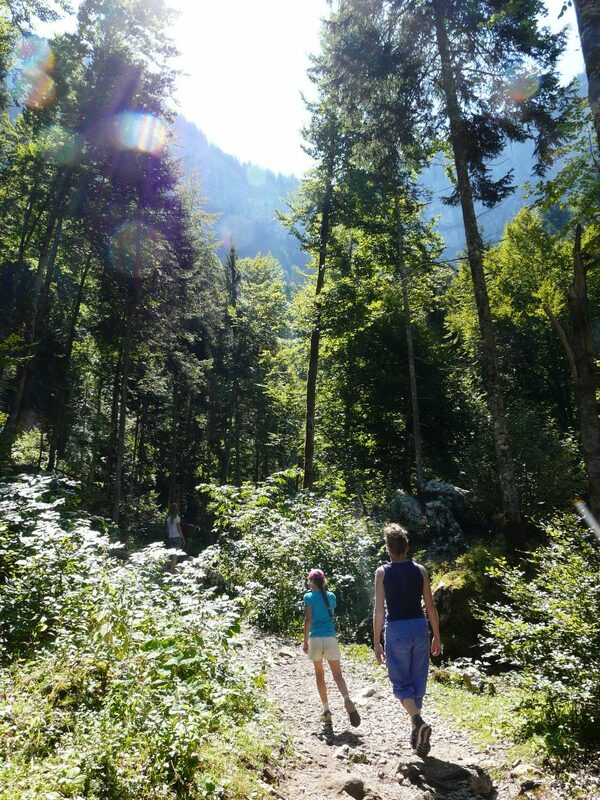 The toe of our daughter was healing well and I felt so blessed to make these walks in nature. It was something I was so looking forward to. 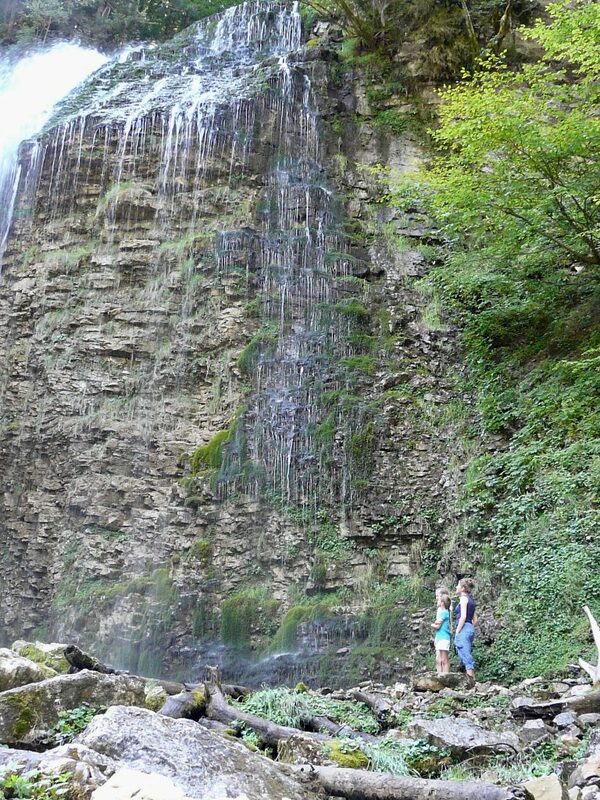 Feeling the cold and refreshing drops of water of this magnificent and huge waterfall. 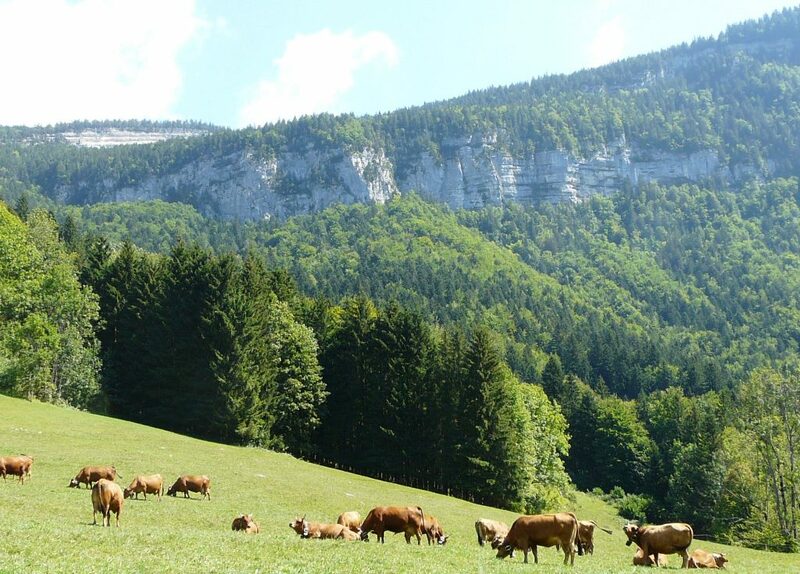 Brown cows with big ringing bells which makes such a loud noise, echoing in the mountains. A typical Alp scene! 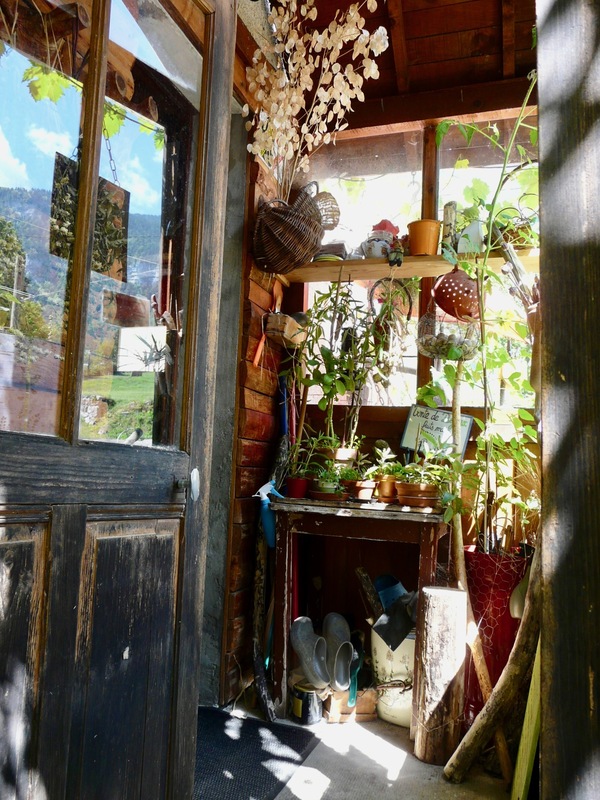 A tiny and cozy teahouse with lots of greenery, flowers, plants and even a vegetable garden. Time for a refreshment after our walk. These kind of teahouses are my favourites! Rarely to find, so they always come as a happy surprise. 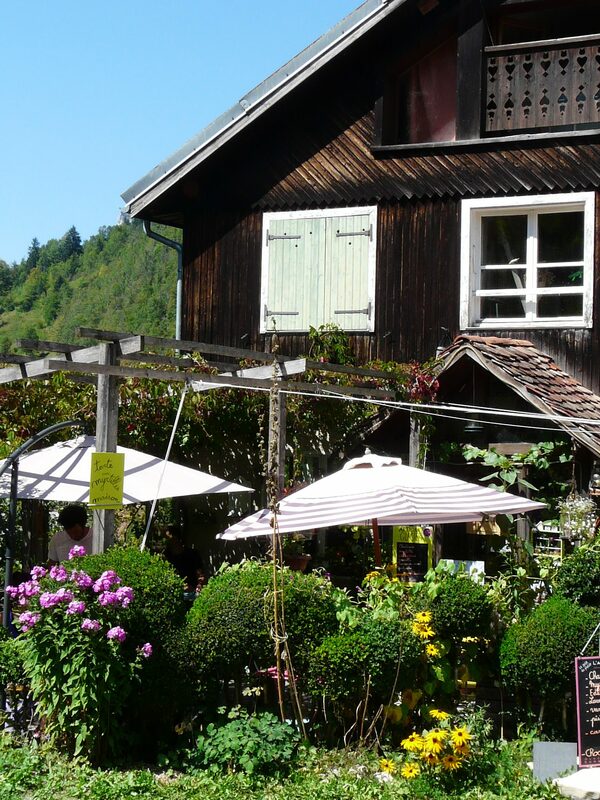 They have an unusual mix of flowers and plants, flea market founds, coziness and homemade pies in a beautiful surrounding. The entrance of this charming place. 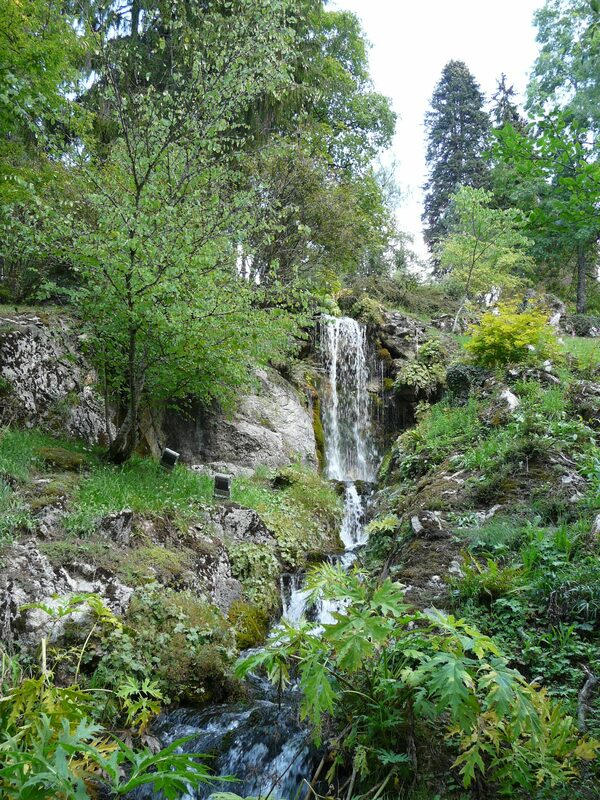 One of the things I would really love to do on our holiday was visiting this alpine botanical garden I have been reading about. 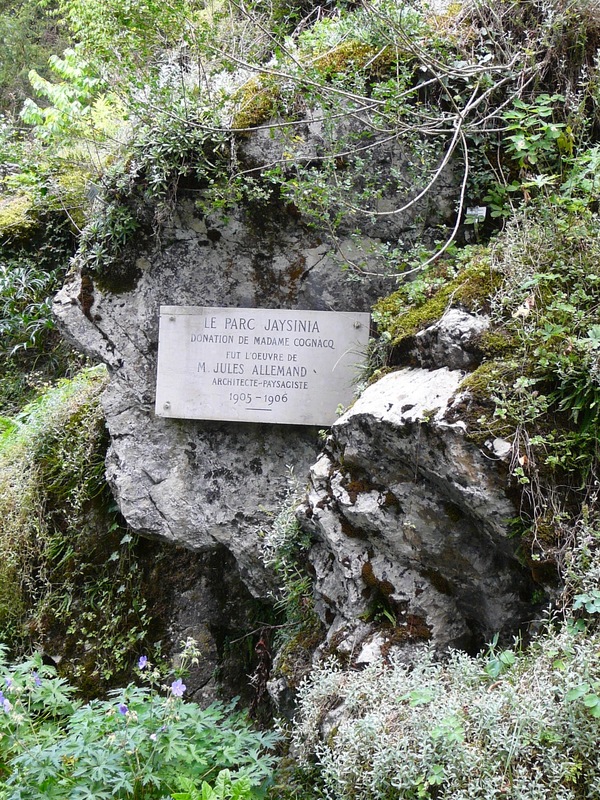 It’s in the centre of Samoëns and this garden goes up to 1 km in height. 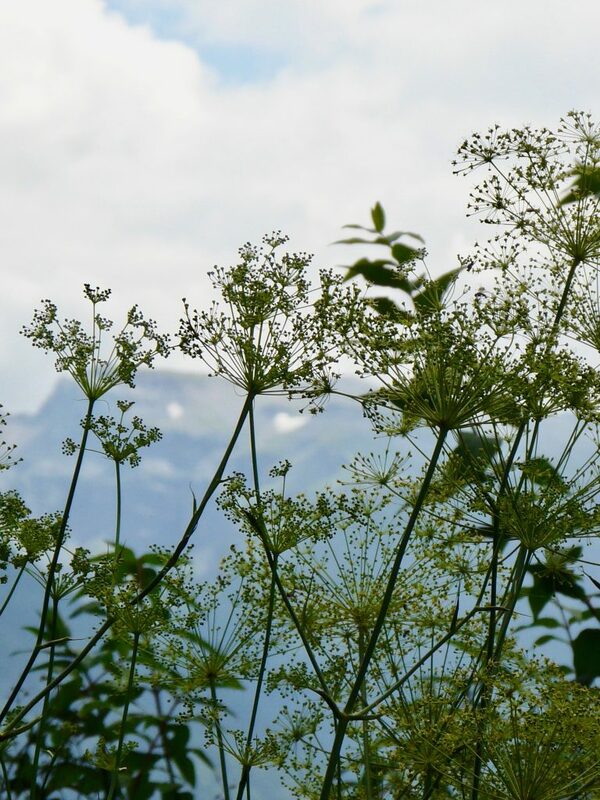 Wild fennel against the mountains with still some snow on the tops. 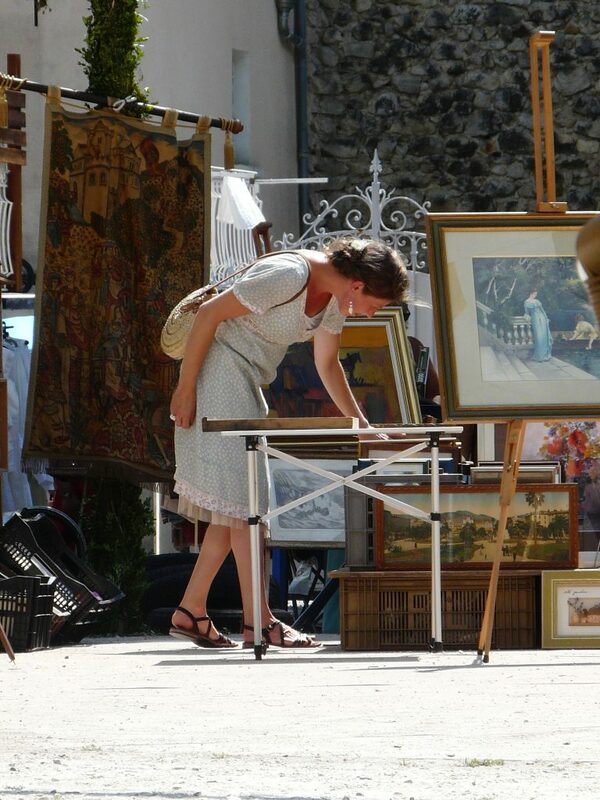 Strolling on a flea market and looking our for treasuries! This is one of my favourite things (besides all my other favourite things!) to do in France. 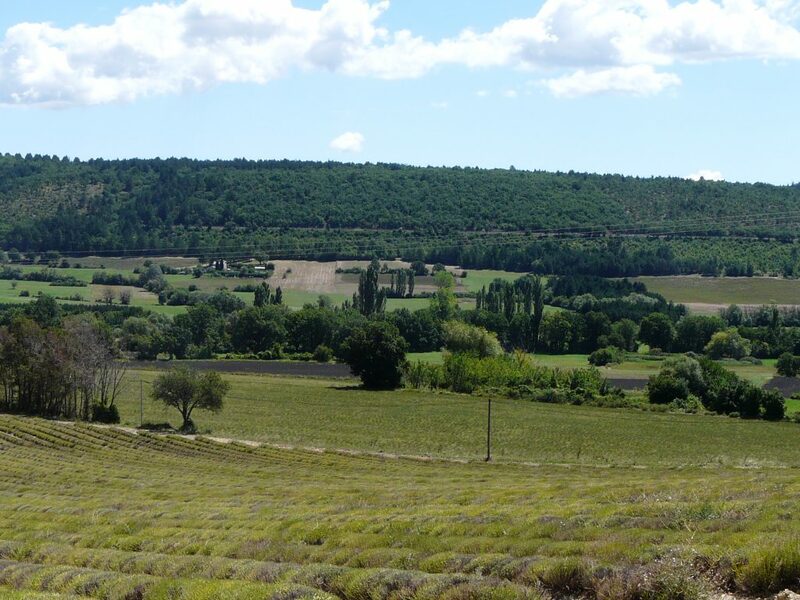 Driving in the Provence with its lavender fields. The lavender was already harvested but we could still see the typical lavender fields with rows of cut lavender plants. 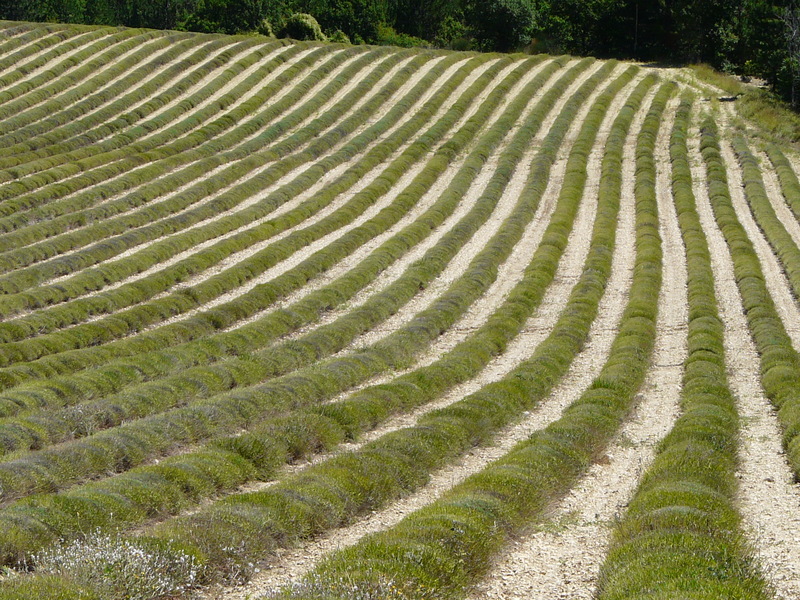 A patchwork of lavender fields. The intense purple color of lavender is faded into greyish purple now. It still looks beautiful! We have visited a lavender distillery and a typical lavender celebration in Sault. It was fascinating to discover the differences between lavender and lavandin and how important lavender is for this region. Endless rows of lavender. Imagine how it must look and smell in July when the lavender is in full bloom! 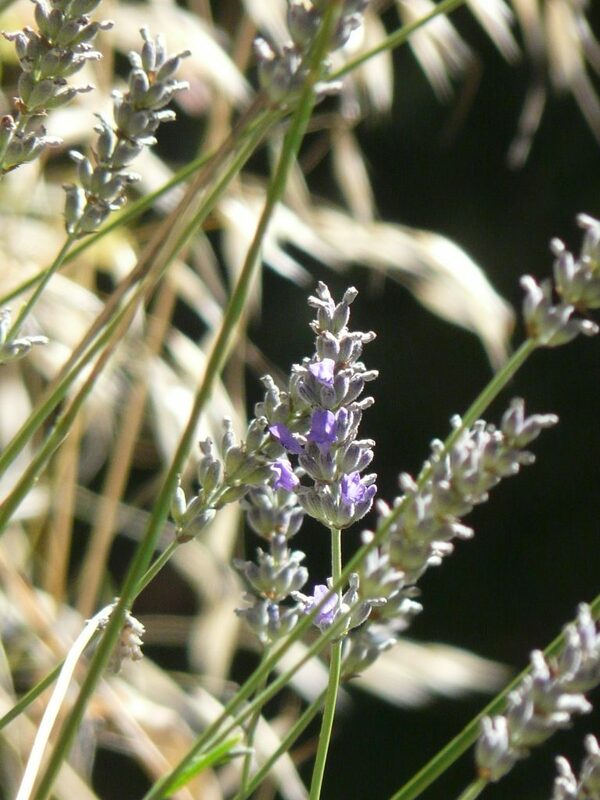 Did you know that one needs 100 kg up to 150 kg of lavender flowers to have 1 l of lavender essential oil? It completely makes sense why there are so many lavender fields here! 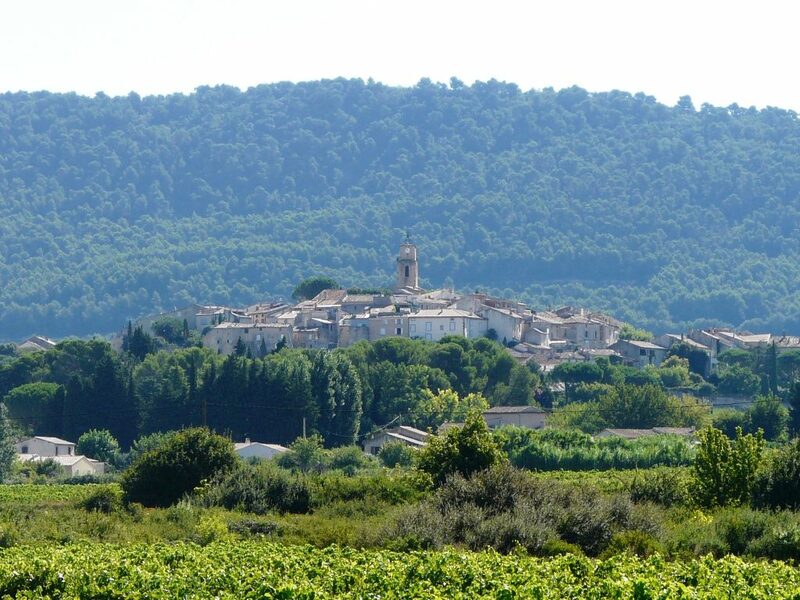 A picture perfect of the essence of the Provence. A man was selling lavender bouquets here at the lavender celebration in Sault. It looks like a scene of 100 years ago. 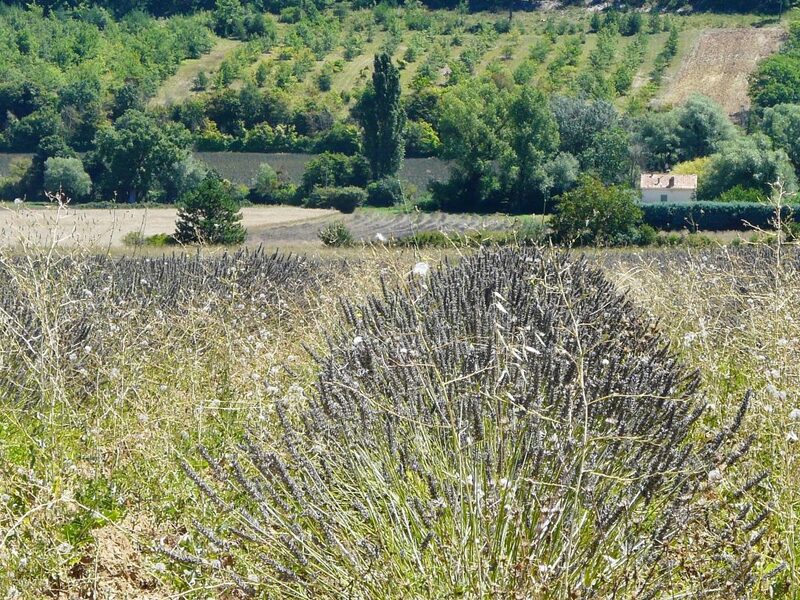 I’m happy these farmers still produce high quality lavender in this beautiful region of France. … and how to live an imperfect life. Until then I will try to take the days as they come even though as they aren’t as I would like them to be. Prachtige fotos en reflectie over hoe je de vakantie ervaren hebt. Zoals je aangeeft, niet altijd zoals we zelf zouden willen maar telkens valt er wel een les te leren.